I’ve been to a few tastings in my time, but never one as disorganized as this Balvenie tasting. I’m not going to go as far as saying I didn’t enjoy the event, because I definitively did. It was fun. The atmosphere was really open and inviting. I went with my buddy Josh and we were able to mingle with a few other scotch aficionados and discuss all the weird intricacies of the our favorite whisky. The location was also really cool and entertaining. However, the actual tasting was all over the place. There was not a direct show (I’m actually not sure of this because we left early), but they had some really great little features. Near the entrance, there was a mock up of the drying floor, which was really interesting. It acted as a unique photo-booth, people taking pictures of themselves shoveling barley around. Toward the back of the substantial room there was a replica of the distillery’s doors that required a special coin to enter and taste the secret scotch (21 year old Portwood). 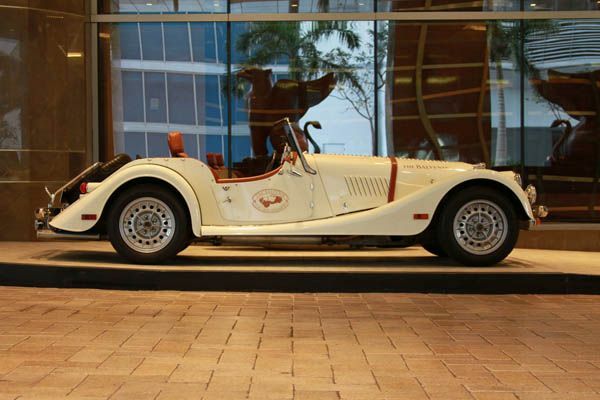 There was also the Balvenie car (pictured below), which looked amazing. Most tastings I’ve been to are pretty strict on the amount of alcohol they dispense. 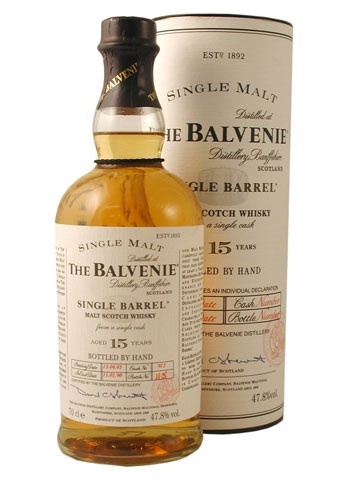 Balvenie handled in a very different way, offering people a hell of a lot of whisky. Everyone could just walk up to the tasting tables and get as much scotch as they desired. Even the tokens for the 21 year old were easy to get to. Nothing necessarily wrong with that, but it just felt odd. Too many people getting drunk instead of actually tasting. Other than that, it was a great event. 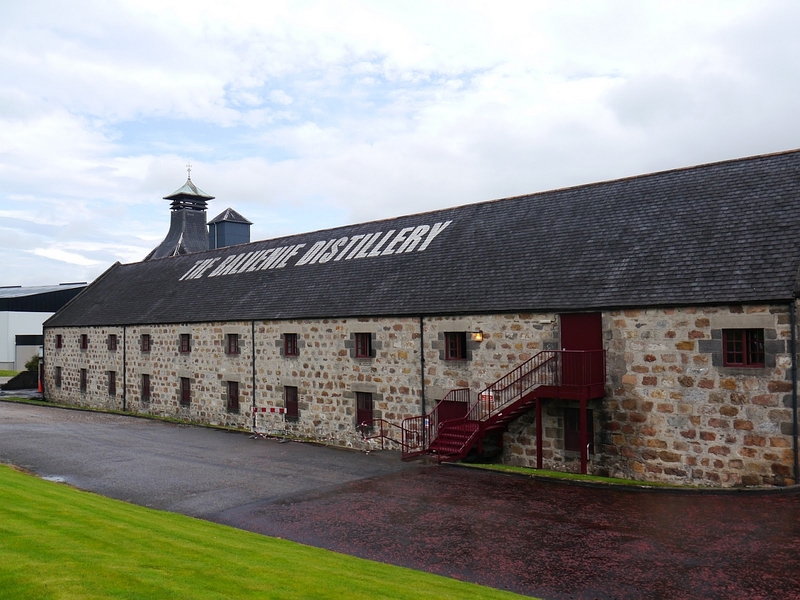 Balvenie is a unique distillery. Nearly every part of their scotch making process is hand made. From the barrels they use to the methods of drying the barley, it is all done by hand. It is a craft single malt with every possible care accounted for. They even play around with the maturing process. This results in a very interesting whisky. Balvenie offered four different varieties of there scotch at the tasting. All of them were very good, but clearly a few were ahead of the pack. The following are some info and tasting notes in the order that Josh and I sampled them. 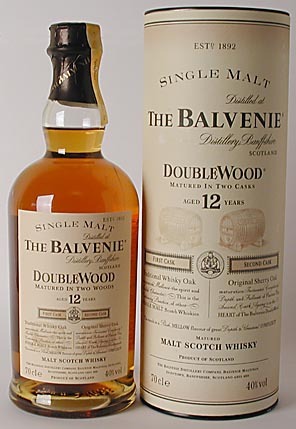 The Doublewood 12 year old: This whiskey is aged in a traditional oak whisky casks and then transferred to sherry oak casks. Nose is pretty sweet, lots of vanilla and sweetness. The palate really brings forth the oak wood out with a nutty flavor. It also has really spicy cinnamon taste to it. I really enjoy tough whiskys, but this was a little much. Bottle Water: Because the Doublewood lingers. 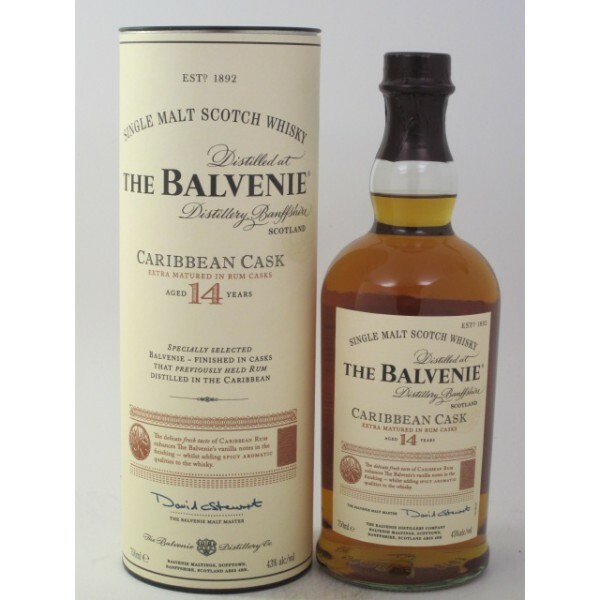 The Caribbean Cask 14 year old: This whisky also starts off in traditional oak whisky casks like the Doublewood, but is finished off in a rum cask. Nose is a very sweet toffee. Palate is much more calm, nowhere near as spicy as the previous. Some good vanilla notes. Really smooth. The Single Barrel 15 year old: A bottle of single malt whisky is made from a multiple barrels of the same whisky in order to provide some consistency. A bottle of single barrel whisky comes from only one barrel, which means that every bottle will probably offer something different. The nose on this is very similar to the Doublewood, vanilla with some honey. The palate is a more balanced spiciness, more like peat that cinnamon. My favorite of the bunch. 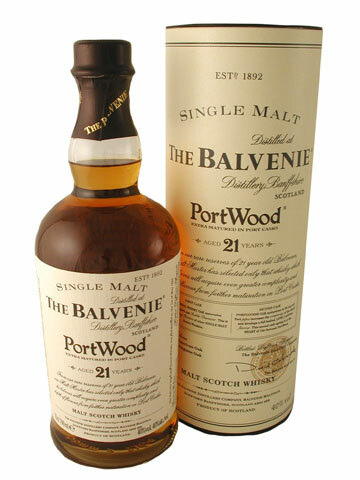 The Portwood 21 year old: Mature in port casks, it’s expensive (way too expensive). Nose is nutty with some raisin notes. Palate is really nutty and creamy. Its a really good scotch, definitely deserved to tucked away in that little room. All in all, this was a very good scotch. Not for beginners, so go in with a caution. 12 May	This entry was published on May 12, 2012 at 6:50 pm. It’s filed under food and drink, nightlife, personal and tagged balvenie, scotch, tasting, tasting notes. Bookmark the permalink. Follow any comments here with the RSS feed for this post. I don’t drink scotch, but you made the Caribbean 14 year old sound delicious! I would do a tasting on that one. The first scotch with cinnamon sounds really strong, as if it would set your mouth on fire, ha! No, thanks! And that’s the thing about going to tastings, a lot of people are looking to get drunk. I used to go to wine tastings with my friends, and many were looking to get buzzed not to taste, and then purchase. I understand those that want to go to tastings to get drunk, but that honestly is the last thing I want to do. I had a conversation with my friend who works some of these events and she was not surprised that people were getting hammered. I was going to mention our discussion in the post because we got into a heated talk about the merits of alcohol (She thinks the only reason to drink to get the buzz, but I genuinely drink to enjoy the taste), but I’ll save that for later.